Code-Compliant Greywater Treatment in California! Nexus eWater’s code-compliant NEXtreater can recycle water while saving homeowners hundreds of dollars a month. For those who live in drought-prone areas, home water usage can become a major issue when prolonged dry spells hit. Finding ways to reuse water responsibly and efficiently can mitigate the effects of those conditions, while also saving homeowners money. That is the objective of Nexus eWater. The founders of the company worked for a greywater treatment appliance manufacturer in Australia during the country’s decade-long drought. When the drought ended, the company went under. The engineering team decided to relocate to California. At the time, the state was a couple years into its drought and it has a similar weather pattern to Australia, making for a logical transition. It also had a much larger population and lots of construction ongoing. Altogether, it created a fertile ground for business for its marquee product. 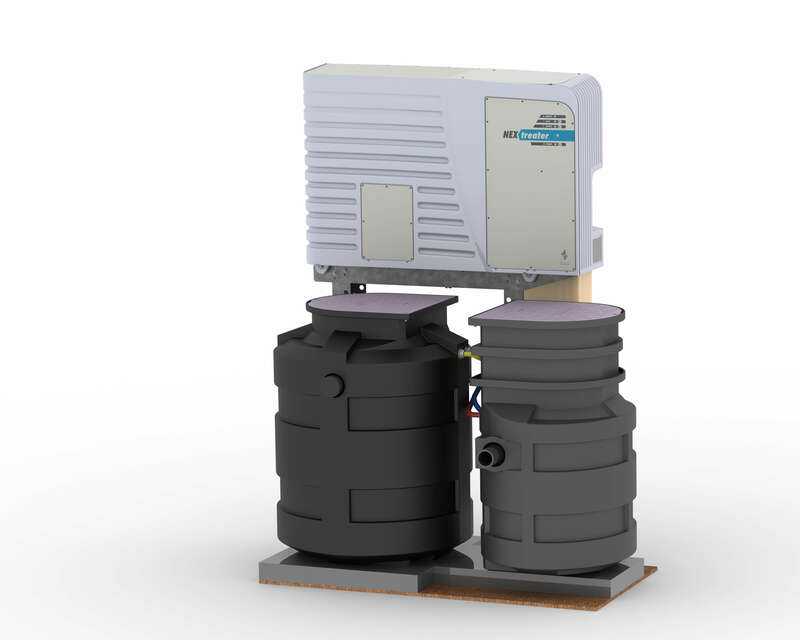 Nexus’s NEXtreater uses a three-stage hybrid process to clean soapy water from the home in an appliance-like package utilizing two underground tanks. The process includes pre-filtration and solids removal, a bubbling process to concentrate and separate contaminants and polishing and disinfecting to make water near potable. What separates the Nexus system from other greywater systems is that it meets the water quality standard of NSF 350, which is recognized in the California Plumbing Code. This allows the treated greywater the ability to be reused for things like spray irrigation and toilet flushing. “That gives a lot more uses than a traditional greywater systems which can really only be in a subsurface-type use and almost always the water needs to be used immediately, whereas our system allows you to store the water indefinitely until you need it,” says Nexus sales and marketing manager Josh Fuller. 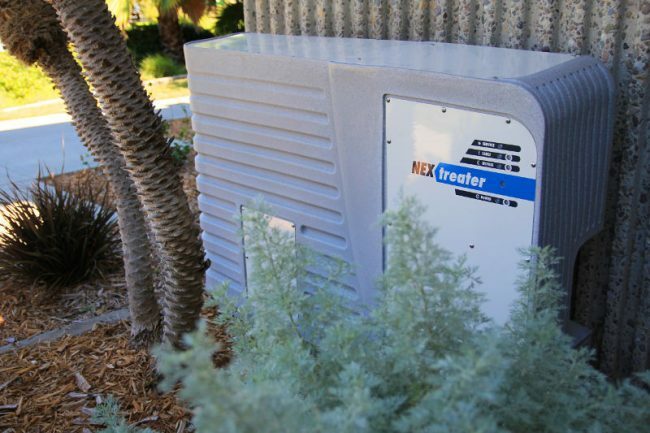 Not only does the NEXtreater system clean a home’s greywater for reuse, but it also monitors and records recycling performance. By capturing and reusing the greywater, homeowners can expect to reduce sewer flow by 70 percent or more, helping them save up to $50-$200 per month on water, electric and sewer bills. The greywater treatment market is a growing one, with other companies developing their own systems. But, Nexus remains the only company to have the state certification, which helps it stand out. Nexus currently focuses only on California, and has worked with many large builders there, including KB Home, Pardee Homes and Shea Homes. Single-family homes have been the company’s main focus, but executives are now seeing an emerging interest from multifamily builders. Fuller and his team believe the TecHome Builder Summit can help them take the company to the next level. With guaranteed one-on-one meetings, they know they will be able to meet with builders who already fit their base, but who also will help them expand, including with luxury builders and those outside of California.